The following day, an equally diverse group undertook the same course in Brisbane, Qld at Kodomon Karate Academy. They were hosted by Kodomon chief instructor and KEF’s Director of Civilian Programs, Glenn Irvine, who incorporates Kinetic Fighting into his school’s regular program. 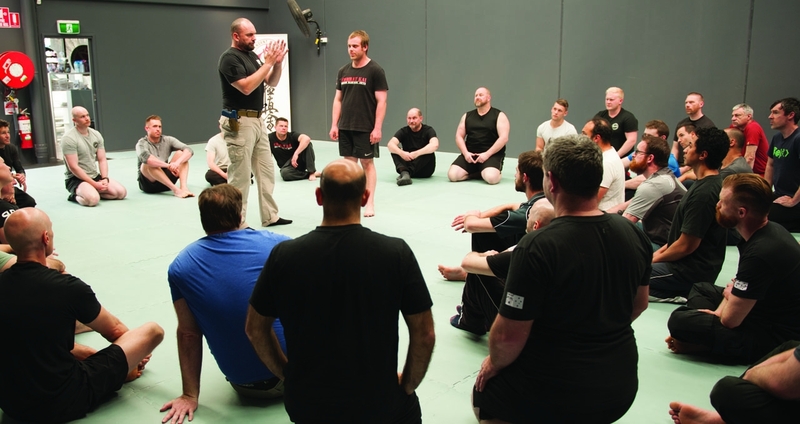 Focusing on KEF’s core principles and techniques, the revamped and expanded training program saw the two groups explore the psychology and physiology of combat survival. 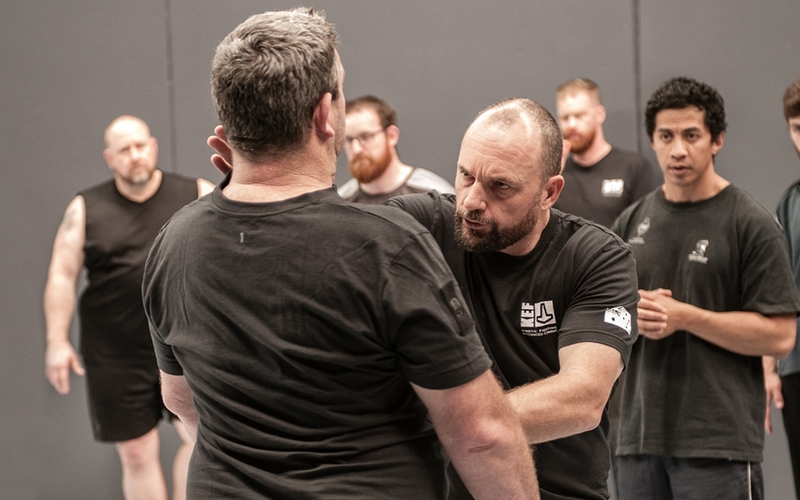 Course content aligned with the current Australian Army Combatives Program, but focused on operating unarmed and under common law. In between theory lessons — and some battlefield anecdotes to explain the ‘why’ — trainees practised applying the principles together. Over four hours, they worked through a series of ‘high percentage’ techniques that rely on gross motor skills and intent. Several professional martial arts instructors attended the course, with some also bringing their students. Among these was Ray Galea, an instructor of Swimming Dragon tai chi. 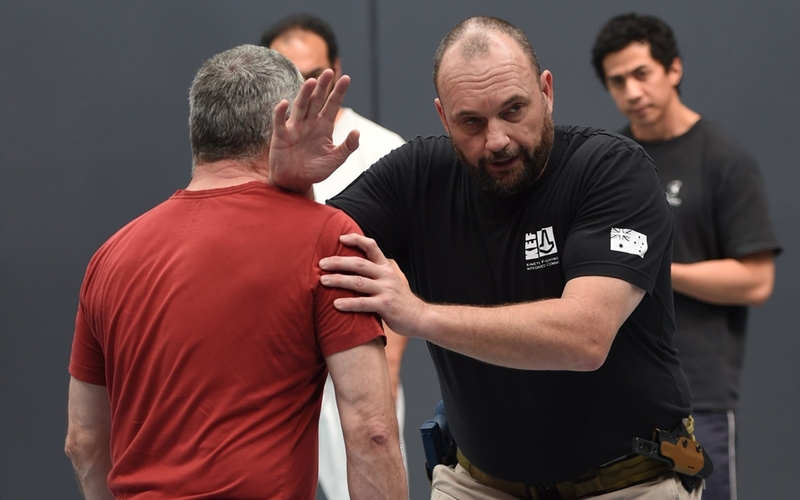 Afterwards Galea described the program as “simple but highly effective techniques, placing great emphasis on situational awareness and risk assessment, as well as the mind being the most important weapon in violent, real-life situations”. “It’s an absolute credit to Paul and his KEF fighting system,” Galea added. “Thanks to Paul and the Kinetic Fighting team for a really enjoyable and valuable course, and offering such an amazing program to civilians. Among others who travelled long distances to attend, Jim Fuata made the trek from Adelaide for his first KEF course. 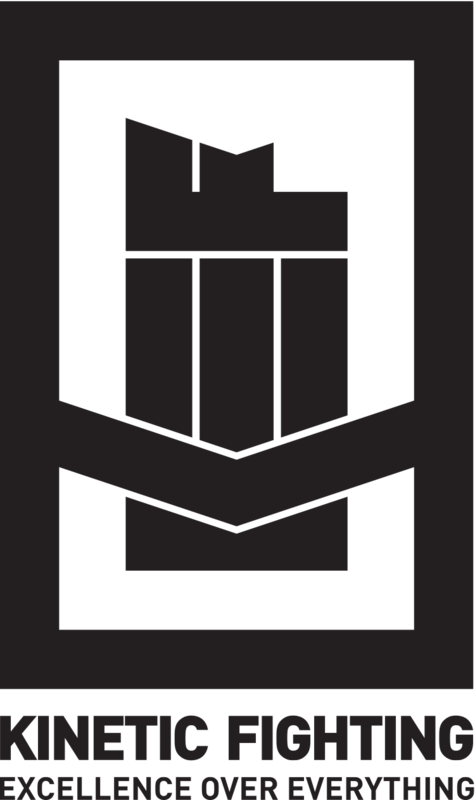 Kinetic Fighting’s creator, former 2nd Commando Regiment Sergeant Paul Cale, said he was humbled by the response from students. He also revealed plans to reach more people outside of the armed forces in 2019. 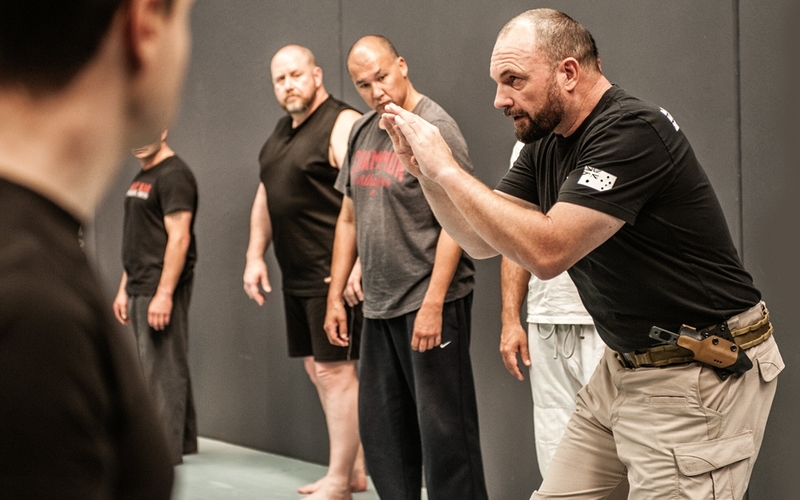 Responding to calls for training in other states, Cale and the Kinetic Fighting team will be running the Level-One Alpha and more advanced courses in multiple cities beginning in March 2019. Kicking off in Sydney, the courses will run every other weekend in a different city, taking in Melbourne, Brisbane, Townsville, Adelaide and Perth. Registrations open in December, with special prices for group bookings.